You know what has made life relatively easier for me as a mother? Yes, you can find the answer in the title of this post. Carob powder! Hari always had an aversion to cow milk and I’m one of those parents who believe that a glass of milk in a day is a must for a child. Literally, we were at war each day, he trying to refuse what I was trying to feed and me trying to coax him into drinking it, showing him rhymes on youtube, knowing that it may not be the right thing to do, enacting stories and the like. Like most other kids, Hari loves chocolate! My efforts to keep it away from him came to a standstill when he discovered its joys in the form of a leonidas bar that he had promptly taken from the fridge when he had just turned two. To tell you the truth I was quite elated at the sophisticated and refined tastes of my baby who had taken a few bites of dark chocolate, which even some adults abhor and even took a picture of it to show my husband. I don’t mind him indulging in it once in a way but definitely not each day. And with doubts about the calcium absorption properties of chocolate, mixing it with his milk as a daily drink was out of the question! One day, after being frustrated with the time consuming effort it took to get a glass of milk into my baby’s system, I suddenly remembered a jar of carob powder that my beloved Ro had got me from the US, lying in my larder. It worked like magic the first couple of days and thereafter although it wasnt a piece of cake, I took solace in the fact that at least he was not refusing his milk now! My next dilemma was sourcing carob as it is not available in India and my jar was bound to get over soon. A quick research on the net revealed some sources and I finally got some shipped from the good folks at Barry Farms. I love carob for many reasons. With origins in the mediterranean area and a member of the legume or pea family the ceratonia siliqua, also known as St. John’s bread and Locust bean has none of the harmful substances like oxalic acid which is known to cause acne and kidney stones, caffeine which can cause high levels of cholesterol and leaching of soluble vitamins like B and C and phenylethylamine and tyramine which are known to trigger migraine attacks. From firsthand experience I can tell you that when I overindulge in chocolate continually, my skin breaks out. Apart from the rich cultural and historical significance, carob has many healthful properties. It is naturally caffeine and oxalate free. It is calcium rich and unlike chocolate does not limit the absorption of calcium into the blood stream. Carob is also vitamin (A, B, B2, B3 and D) and mineral (magnesium, iron, phosphorus, manganese and potassium) dense and is a good source of fiber and protein. It is not only cholesterol free but has pectin which is known to lower cholesterol. Carob is also traditionally used to treat cough, sore throat, diarrhea and an upset stomach. 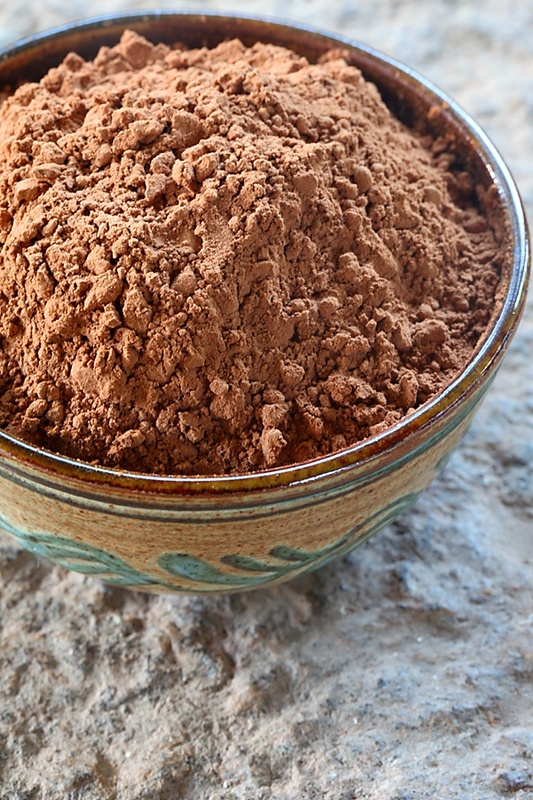 Carob powder can be replaced directly in place of cocoa and carob chips or bars can replace chocolate. 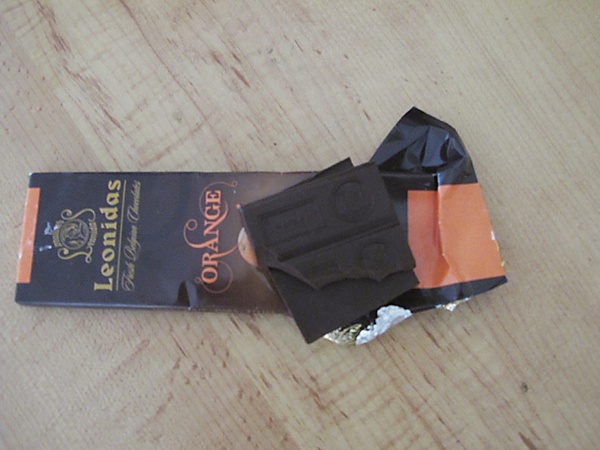 Carob is lovely in hot and cold drinks, puddings and ice creams. I love the raw, rustic appeal of carob and the fact that it has so many magical properties only adds to its charms. 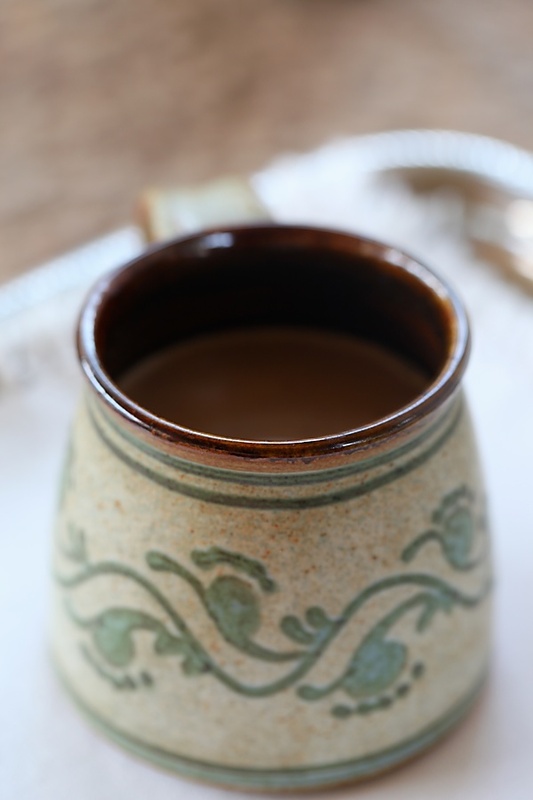 On days when you want a cup of a soothing drink to calm and rejuvenate your senses, make yourself a cup of hot carob drink. It is sure to soothe, relax and revive you in many ways! P.S – I love chocolate and this post is not meant to highlight its negative effects but to show the positive experiences I have had with carob and to highlight it as a wonderful ingredient! In a small saucepan, stir in the carob powder into the milk and mix until smooth and free of lumps. Put in the vanilla bean if using and heat over a medium flame. Turn off the heat before it comes to a boil. Stir in the vanilla extract if using and the sweetener. Fish out the vanilla bean if you have used one and pour into a cup or a mug, sit back, relax and enjoy! I will buy carob powder tomorrow itself and try this lovely drink which will be so much better than hot chocolate, this winter! Hey Anushruti, love ur recipes, photography and especially bcoz u give such importance to the overall health/nutritional values of food displayed out here..Never heard about carob before and great to know about it.. What is called in India, if so? Is it extremely expensive? Any particular international brand names since I am based in the Mid east..
Beautiful post! Anu, is there a brand I can try to get? I live in Singapore, and have not come across this at all! NSJ: You are welcome! Always a pleasure to hear from you. Hope your little one likes carob. Gayathri: Thank you for your note. Carob is not indigenous to India and has no Indian name. I have used Chatfields and now I'm using Barry Farm Carob powder. Look for any carob powder, preferably lightly roasted. Archana: You will most likely find it in Singapore. There are many good brands like chatfields, bob's red mill and barry farm. Excellent drink, never tried carob powder in anything,will search for it. Thanks for the informative post! Definitely useful in a caffeine-conscious household like mine 🙂 Do you have any thoughts on how it would fare in cakes, cookies and the like that call for cocoa powder? I have been giving my girl chocolate drink twice (morning and evening)and milk in the night everyday. Since u mentioned carob I checked out Wikipedia and found out that they grow in my grandma's village in Tamil Nadu and I have seen goats eat them. They have been a part of Jewish cuisine and also is the food the prodigal son eats in the parable in the Bible. I think I found an organic shop that sells them in Malaysia and will start giving my girl this instead of chocolate milk. Hi Anushruti, my son hates milk too, but of late he seems to have taken to drinking hot cocoa, no sugar in it though! Children have their own ways I guess! Did you try out the eggless chocolate cake recipe I had mailed you a while ago. As usual, a perfect post. Your posts are a delight to read with so much information about the ingredients as well as the social significance of that food. DJ: You are most welcome. 🙂 Carob fares extremely well in cakes and cookies. Use it directly in place of cocoa powder. Alina: How wonderful to know that it grew in your granny's back yard. I hope your little girl loves carob..it will be extremely good for her health and well being! Sneha: Your son has refined tastes to not have sugar with his milk. No, not as yet…caught up in a whirlwind of activities. Garima: Thank you so much for your sweet words. hi anu..this is so informative..never heard about this before.have been thinking about an alternative for chocolate drinks to give my kids.thank you..
Anuradha: This is the perfect alternative as it is chocolate like in flavour but minus the caffeine and other worrying substances in chocolate. Alina: Hope you liked it! I'm sipping on some milk right now. Just wanted to let you know my experience with carob powder here. I used your eggless chocolate cream cake recipe – http://www.divinetaste.com/archives/eggless-chocolate-cream-cupcakes-with-ferrero-rocher-nutella-icing/ and replaced the cocoa with carob powder and cream with milk (the optional 3 tbsp of sugar in your recipe was required for us). The result was simply fabulous. It was the softest, most spongy and delicious cake I had baked! Thank you so much for both the information on carob and the cake recipe. I also made some 'carob buttercream' by beating cream, sugar & carob powder together for icing. The combination is really heavenly! I am most pleased to let you know that we supply high quality halal certified carob powder in Singapore, Malaysia, Thailand and Australia. Do contact us to find out more! Hi Anushruti,heard about carob from your site,which I suddenly found by chance.got interested with the Satvik food and eggless desserts. Where can I get carob powder in US and Singapore. DJ: That's awesome! Thanks for the feedback! Ami: It is easily available in health food stores in the US. Thanks Anushruti for this useful information. Since I am very sensitive to caffeine but I really like hot chocolate, I have been searching for an alternative and your useful post on Carob seems like the right solution. I am based in Pune, can you guide me as to how one could get Carob powder in India? 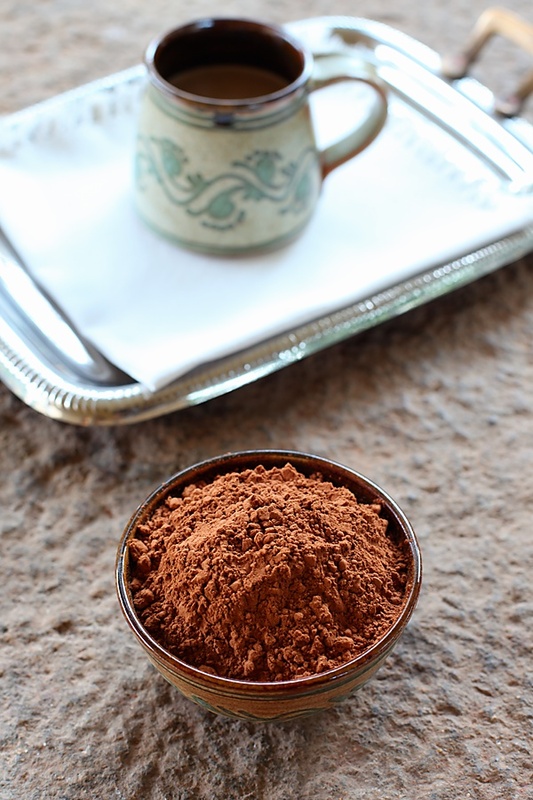 Love to use carob in my baking and I do use it a lot whenever I want to avoid caffeine. Its lovely that your little one loves it a lot. 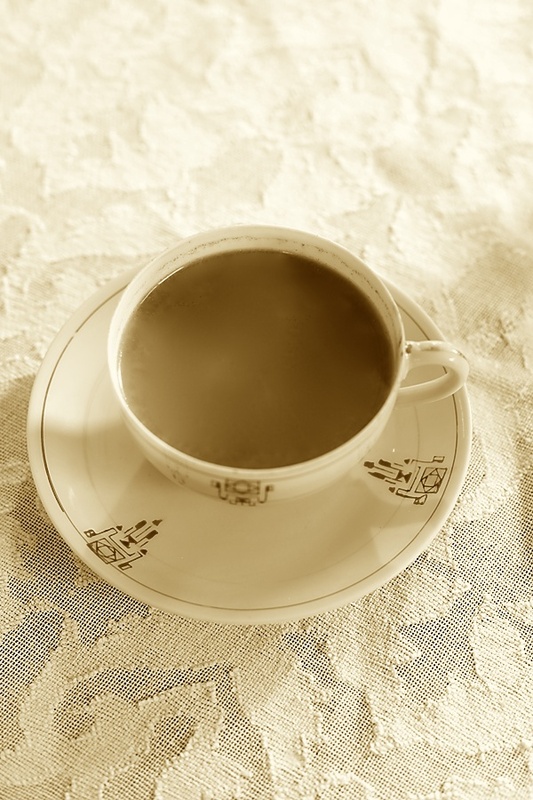 I loved the shot of the cup in the off white glow with the lace table cloth! Lovely clicks Anu. Shoba: The little ones taste keeps changing and this is currently not his favourite anymore. 🙂 But, I'm sure he'll grow up or atleast I hope he does (;-)) and appreciate a cup of well made carob drink. Lovely photos and nice recipe. 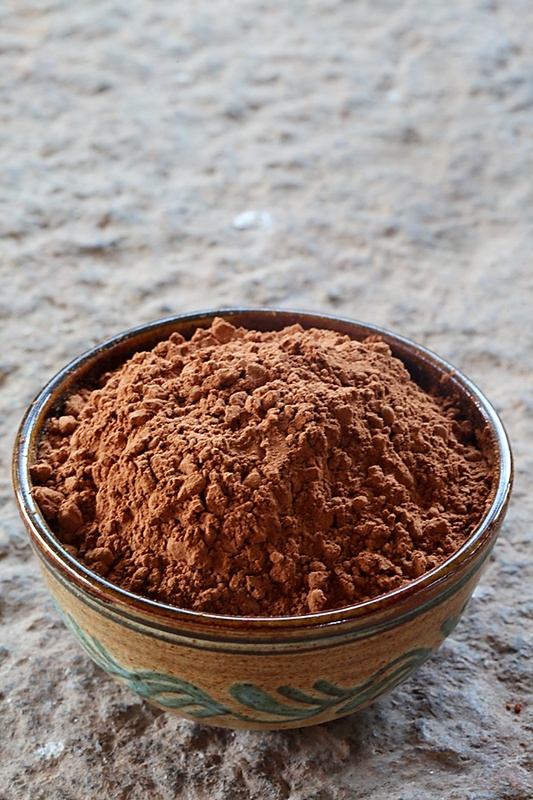 Any idea where we can get carob powder in India? Nice post. Unable to find carob powder in India. Any help on thus will be great. Please let me know how to get this in India. Thanks! Sowmya: I'm sorry I don't know where carob is available in India. Great recipe, just made this with almond milk as I dislike dairy milk and left out the sugar/sweetener as carob is already naturally sweet. Really yummy and a great alternative as I'm trying to give up chocolate. Nice to see people using Carob In India, In India the carob is not easily available. we have to Import it or ask anyone to get it from there. If we import it it will cost a lot for small quantity. I am Importer of Carob powder in bulk. Minimum order will be 1kg. If anyone is looking for Carob powder, you can contact me. Krishna: Thank you very much for the information. I'm sure this will help a lot of visitors around here.